How ENCE defeated Liquid & NaVi? there aren’t many players who come close to the outrageous ability s1mple has. No matter what weapon he has, s1mple always finds a way to make himself the biggest threat on his team. Whether he's carrying 1v9, he is a talent not to be reckoned with. s1mple was first introduced to the Counter Strike series at the age of four by his older brother. After years of honing his skills, by the time CS:GO launched it only took a year before s1mple was picked up by professional team, Courage Gaming. Now that s1mple’s ability was being broadcast to a wider audience, it didn’t take long for bigger teams to begin noticing him. at only twenty yrs old, CS:GO spectators have witnessed s1mple grow up throughout his four year career. There was a time where s1mple’s toxicity saw him bouncing from team to team without any consistency. You can see how much s1mple has changed by comparing past matches from his time at Team Liquid to present day NaVi - it’s like watching a different person. for the past 2 years, s1mple has been playing under NaVi as both an entry fragging rifler and an AWPer. Entry fragging requires you to play without fear while being cautious of the enemies that may appear. s1mple is such a threat that most teams find themselves targeting him specifically to ensure he isn’t a problem. As an AWPer, s1mple has been immortalised on Cache where he landed two unscoped shots with the sniper rifle against Fnatic during 2016’s ESL One Cologne Major. the 1 thing that eludes s1mple compared to the other players on the list is the lack of a major win. 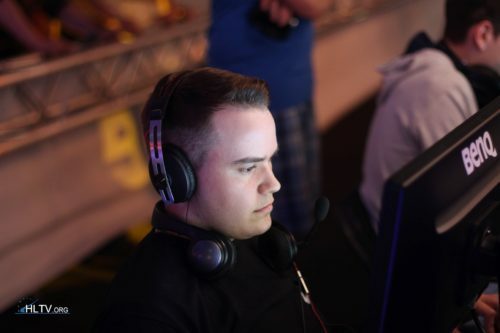 NaVi were not able defeat Astralis during the most recent CS:GO Major that took place in London during September 2018. As we mentioned earlier though, s1mple is still only twenty years old, giving him plenty of time to work towards achieving his first major win. "s1mple can get a strike in bowling using an AK-47"
"s1mple once urinated in a semi truck's gas tank as a joke. That truck is now known as Optimus Prime"
Is he really a pilot guy? His level is so high above other pros, I'm not surprised if he has moments like that, it's normal in any sport.